Russia’s Proton rocket blasted off from Site 200/39 at the Baikonur Cosmodrome on Monday, September 11, 2017 at 19:23:41 UTC. 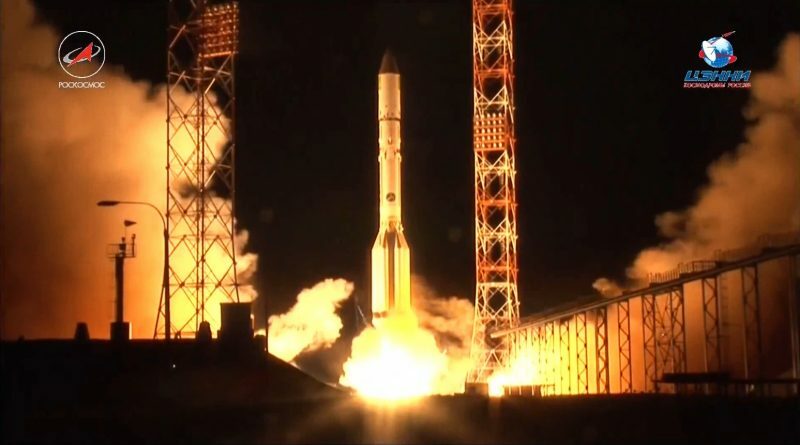 Carrying the Amazonas 5 TV & Internet Satellite, Proton-M carried out a typical ascent mission, deploying the Briz-M upper stage onto a sub-orbital trajectory for a five-burn, nine-hour ascent mission into Geostationary Orbit. The 5,900-Kilogram satellite separated nine hours and 12 minutes after launch, beginning its planned 15-year mission serving South and Central America. It was the third Proton launch of 2017 and the 95th commercial Proton launch under the auspices of International Launch Services.